Hard-pressed to communicate with constituents? “Helping neighbors connect”… that’s what Front Porch Forum is all about. But, as is becoming increasingly obvious, FPF is used in other ways too. Local businesses, city employees, colleges and hospitals, charities and others use FPF every day to communicate with their communities. FPF has made such a difference in creating a sense of neighborhoods. It does make more work and takes up more of our time, just like email actually, but its value way outweighs its demands, for me. I can’t tell you how many people during my door-knocking thanked me for my postings. Without FPF, I’d be hard-pressed to communicate with constituents. So, really, a BIG thanks to all of you. We thought Front Porch Forum was designed to trade information with neighbors, not to serve as one more place for people to post political editorials. Len’s piece in today’s forum, while well written, was out of place. Statewide and local election coverage is available through a plethora of channels and we did not sign up for FPF to be lectured at or editorialized to. We signed up to learn what our neighbors needed, and to share what we needed. Is this what we can expect from FPF? It is bad enough that the candidates invade our homes with phone calls at all hours without regard to whether or not we want to hear what they have to say. Good points all around. Regardless, experience shows that, a day or two after the election, FPF will return to neighborly postings about lost cats, babysitters, car break-ins, helping neighbors in need, etc. E-Vermont’s mission is to help rural schools, businesses and municipalities make the most of the new digital tools at their disposal. Funded largely through a $2.5 million grant from the U.S. Department of Commerce, the project is also supported by a coalition of local philanthropists, businesses and nonprofit organizations. In May, 12 Vermont communities were selected from more than 40 that applied to receive technical and educational assistance in maximizing their broadband usage. Over the next few weeks, more towns across the state will line up to be considered for the next round of assistance. They’ll be vying for 12 open spots that come with a variety of free services, including new computers for their elementary schools, training and consulting services for small businesses, web-design instruction for town governments and a host of other community-building tools. “Community building”… that’s where Front Porch Forum comes in. We’re a proud e-Vermont partner. In fact, FPF is now available in 50 Vermont towns, thanks in part to e-Vermont. Anyone wanting FPF in their Vermont town should apply for the second round of e-Vermont awards by Nov. 17, 2010. Over the last few months, e-Vermont convened a series of meetings in each e-Vermont town to create a list of town-specific priorities. Many of the goals spelled out in the town plans use 21st-century technologies, such as email, Facebook, Nixle and Front Porch Forum, to reinforce old-fashioned Vermont values: connecting young people with elders; helping Vermonters stay in touch with friends and family out of state; finding new ways to increase civic participation; and helping Vermonters identify neighbors who live alone, are disabled or need someone to check on them periodically. Another common theme that emerged from all the town plans is a desire to use the Internet to create a stronger local identity. For example, the 3600 residents of Pownal actually live in three separate villages — Pownal, Pownal Center and North Pownal — that are several miles apart. One of Pownal’s goals is to use… Front Porch Forum to boost community cohesion and spark livelier dialogue among its residents. The framers of Pownal’s plan say this could be an especially useful tool as plans move forward to convert the former Green Mountain Race Track in Pownal into a renewable energy park. #BTV #VT ‘s Mealtrain in Mothering Magazine! Congratulations to Burlington’s own mealTrain.com … featured in Mothering Magazine recently. This is a great service. Our family has used it successfully several times to support friends in need (new baby at home, etc.) or just as a pick-me-up from a group of friends to one happy recipient. mealTrain.com is a free solution that simplifies the organization of giving and receiving meals. By allowing the giving party to take into account the recipient’s preferred meal times, food preferences, and available days, the site helps ensure that the recipient gets the meals they enjoy on the days that are most helpful. 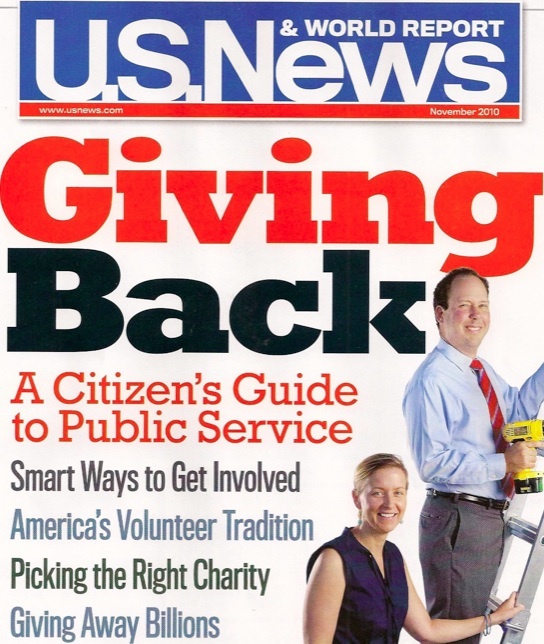 U.S. News & World Report focuses on giving back in its Nov. 2010 issue, including an article examining Front Porch Forum! Thousands of Vermonters have been doing great things through FPF since 2006… kudos to all! UPDATE: Here’s the online version! This has been a lively topic among Richmond’s 1,500 households, more than half of which use FPF. My lovely, large and luxuriant kitty, Dulce Meow, has been on a diet for months and is getting even LARGER! If you see her on the street and she begs you to buy her an ice cream from the Good Humor man (or woman), please don’t do it. If she shows up at your doorstep and convinces you that she is starving, don’t believe her, SHE LIES! Dulce has a very compelling look in her large green eyes but you must refrain from feeding her, please, not even a small treat, SHE IS NOT PREGNANT! Thank you in advance for your help. She’s a sweet, very fat, kitty and I want her to live a good long life. Belmont, Mass. — A Massachusetts woman is facing assault charges after Belmont police said she hit a motorist in the face with a bag of dog feces. Police said Tuesday that the woman, whose name has not been released, admitted tossing doggie dung at the drive because she believed he was speeding. The woman was charged with assault and battery with a dangerous weapon, vandalism to property and disorderly conduct. No arraignment date has been set. Last month, the city of Santa Rosa (CA) held a neighborhood summit to help people think through how they wanted residents, public officials, community organizations, and other stakeholders to work together. Jim Diers, former director of the Seattle Department of Neighborhoods, gave a stemwinding keynote presentation that you can view here.